What is a Motor Vehicle Dealer (Wholesale Motor Vehicle Dealer) Bond in Arizona? A Motor Vehicle Dealer (Wholesale Motor Vehicle Dealer) Bond is a type of license bond. The purpose of the bond is to protect the state or governmental entity for certain things, such as the payment of taxes. How Much does a Motor Vehicle Dealer (Wholesale Motor Vehicle Dealer) Bond Cost in Arizona? How do I get a Motor Vehicle Dealer (Wholesale Motor Vehicle Dealer) Bond? We make it easy to get a Motor Vehicle Dealer (Wholesale Motor Vehicle Dealer) Bond in Arizona. Fill out the form above and we’ll get right on this for you. Then we’ll get the Motor Vehicle Dealer (Wholesale Motor Vehicle Dealer) Bond right out to you. Easy. Use of permit bonds and license bonds is an important requirement of a lot of governmental bodies to organizations before starting their processes. The license and permit bonds help the government body to prove that a certain party or business will follow all the essential regulations set by the government in regards to their procedures. Every professional in every occupation has to get the bonds before beginning their business. These bonds provide the government a guarantee that all governing rules set linked to their business or profession is effectively adhered to. These bonds also help the government effortlessly detect a specific professional or company who failed to follow regulations and rules. Consequently, it is important that a business or professional obtain the bond. When you’ll need to understand how you can get a permit bond, here is a helpful guide for you. The following discussion explains about the essential facts that relate to license and permit bonds. 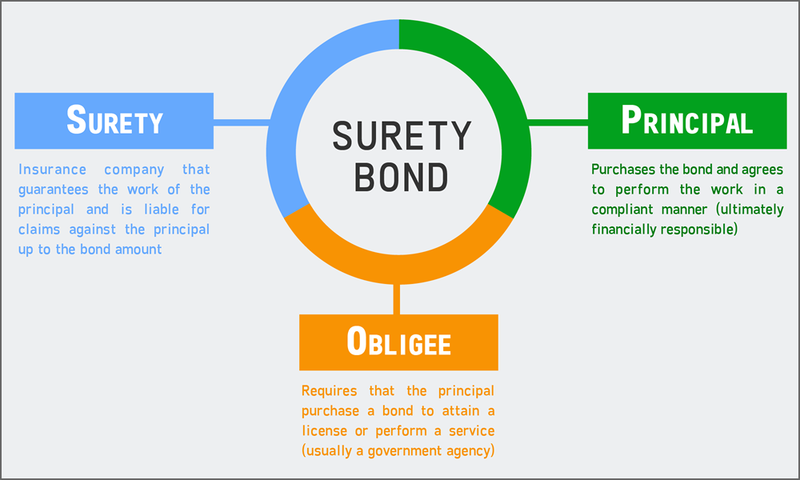 License and permit surety bond is the most typical kind of bond. This is why it’s an extremely important component when beginning a company. If you intend to begin a business or a certain operation in your city to obtain you some profit, you need a license. Before beginning your operation, it’s essential to understand first the demands of the government related to your company or profession. In order to get a complete info on what you must do, you’ll need to obtain a license and permit bonds. These bonds explain all the governing rules that you have to stick to, helping you prevent the substantial consequences that you could face when you violate them. When you’ll need to get a license or permit in Kansas, it’s important that you apply for a license and surety bond. There is a wide range of license and permit bonds that you may acquire, including a contractor license bond. Performance bond is very important in making certain you receive a sufficient project including a building. When you engage a contractor to an infrastructure project, you need to ensure that you get a satisfactory result prior to making a final acceptance. In most cases, the construction will be successful. Nonetheless, should it fail, you’ll get compensation from the insurance company, and another replacement contractor will continue the project. It is mentioned in the performance bond how much is insured in the project cost. What are the advantages of acquiring a license and permit bonds when interesting a specialist or company to a particular project? There are rules and methods to be followed when operating a company, which the government requires. License bonds allow define the systematic flow of processes, for instance in construction. The contractor who is engaged to this operation must then follow this system. Luckily, the permit bonds care for the clientele of experts. In case the project breaks down, the consumer will get considerable amount of compensation due to the quandary caused by the professional’s failure to supply. If a specialist fails to give what he or she promises, you have to sue his or her bond and you will get compensation totaling to the bond’s specifications. Obtaining license and permit bond is simple if you follow the right methods. The following are the easy measures that you must follow when applying for license and permit bond. First, you should fill the application form. Using the online platform of an approved forum is perhaps the fastest strategy to get this online application form. Before you decide to can submit the application online, there can be a prompt asking you to verify the info you filled in each fields required. Once you get the form, you must only use the honest info when filling it. After you have submitted the application form, you will then get a quote stating the amount associated to the surety bond you are applying. You’ll make payments depending on the quote you receive as response. The quote only comes after you apply and your application is successful. After obtaining a quote, the next step will be the actual payment. You could only obtain a license and permit bond after you have paid the issuing company. Do not lie in the form. It is because doing so will only result in difficulties, like legal action. The government is cautious while checking this information. Even though you have poor credit scores, try using the appropriate info. To find out more about the need and importance of acquiring license and permit bonds, below are a few essential bits of info that you need to learn. For instance, permit and license bonds are worth a certain amount of money. Let us take for example the whole project cost is $500,000. This isn’t the full amount insured to surety bonds. This permit bond does not require you to pay that exact amount of money. Instead, the payment you make will only be equivalent to 1% of the whole bond’s worth. From the word itself, “performance” bond, it guarantees that the contractor will execute or supply the required project result as they are bonded with a surety. You, as the business, should serve your clients right and your bond will act as a shield if you fail to do the same. When planning to engage in construction projects, it is essential to know all the regulations of the government. One of these is the need for a license and permit bond, which is essential to be sure that you gain your clients’ trust and confidence for the products and services that you offer. See our Arizona Motor Vehicle Third Party (Driver License Providers) Bond page here.